…HARDLY! 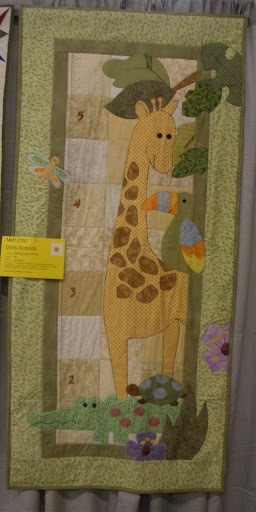 It was day ONE of the American Quilter’s Society Des Moines 2009 Show, and I spent the day in QUILT HEAVEN! 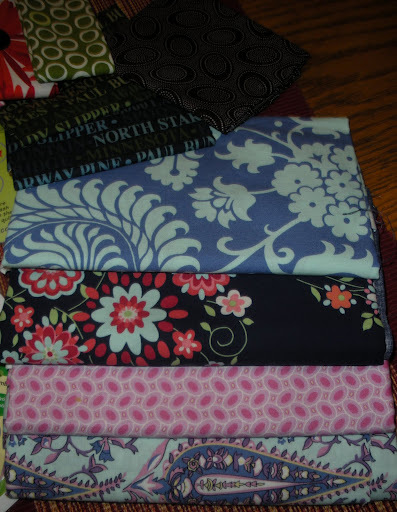 (Warning: this is an image-laden post, dear readers! Click on images to enlarge for better details.) 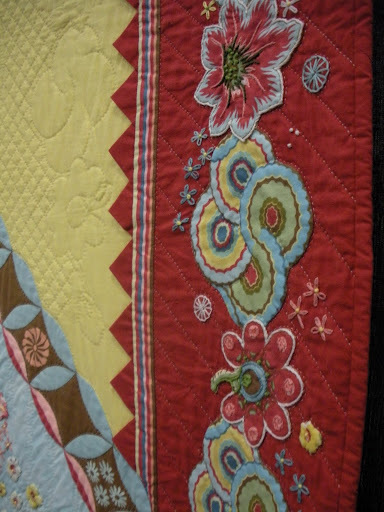 Some detail shots from a few of the quilts that KNOCKED MY SOCKS OFF–full shots to come in another post… My personal fave, done by a member of my guild, Leigh Lussie, and shown in the AQS juried portion of the show…an applique bed quilt of a pattern by Kim McLean. 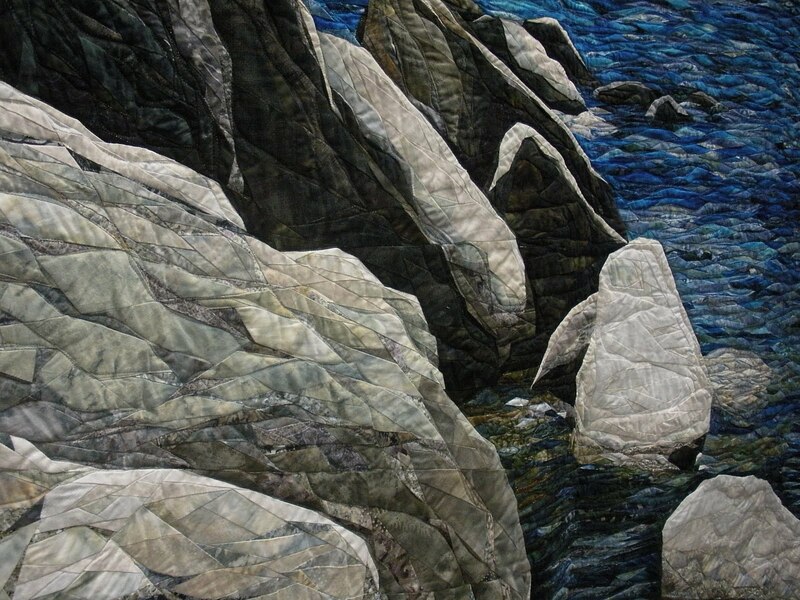 Cynthia England is one of my quilt idols, and this is a shot of her shoreline pictorial quilt, One Fine Day, which BLOWS MY MIND. 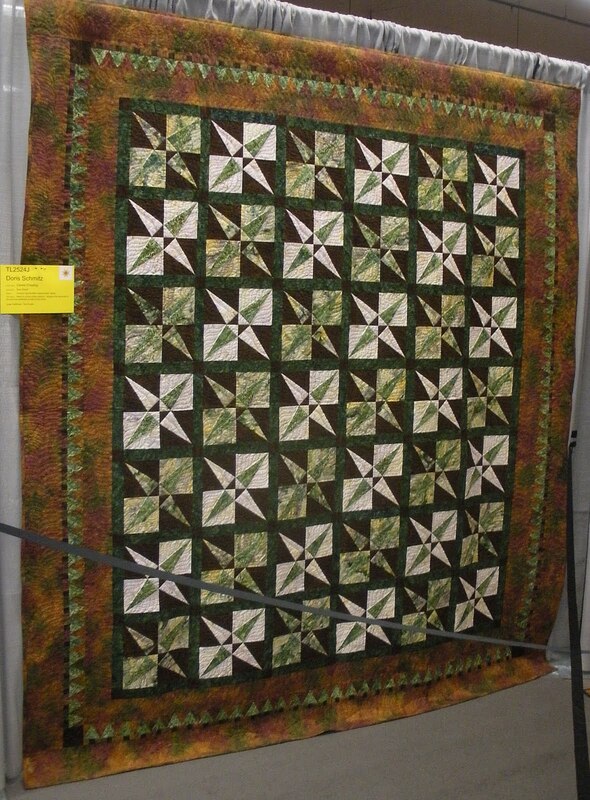 I’d love to know how many thousands of pieces go into one of these quilts of hers. 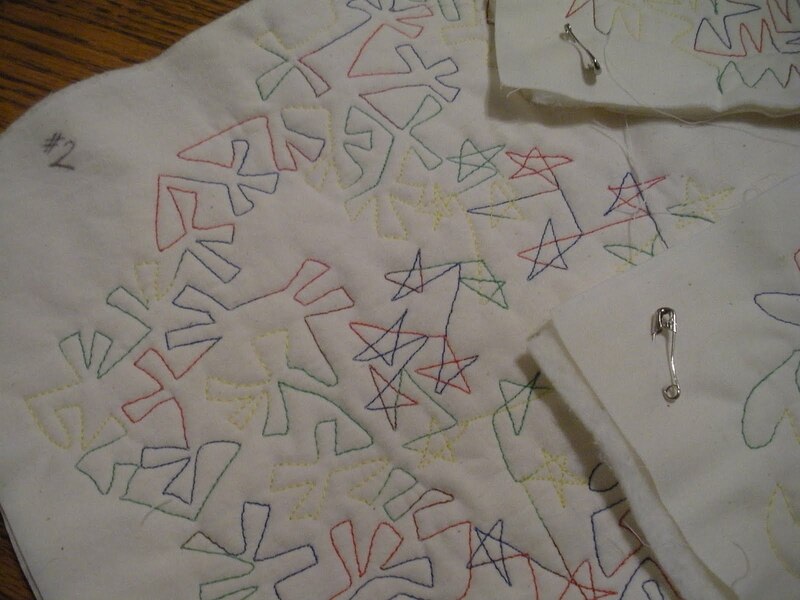 And a hand quilted, hand appliqued Broderie Perse style quilt done with older Amy Butler lines, Ginger Bliss and some Charm pieces. It is a beautifully done modern take on an age old technique. Artist is Jean Clark from Mt. Horeb, Wisconsin. 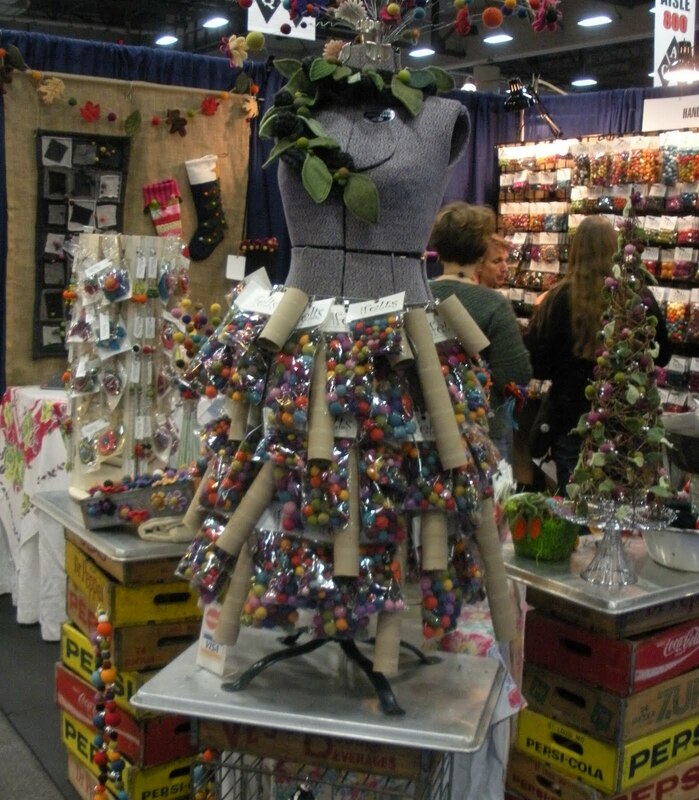 The display and vendor booth for Handbehg Felts, a supplier of felting tools, wool roving, hand-felted wool balls, jewelry kits, accessories, etc…They had a corner booth with this awesome dress form adorned with a wool ball kits and toilet paper roll skirt, and this great “bouquet” bursting from the neck: What initally drew my eye to the booth (I was in a daze at this point, and saw into the booth before I saw the dress form…yeah, really tired and in a daze….) 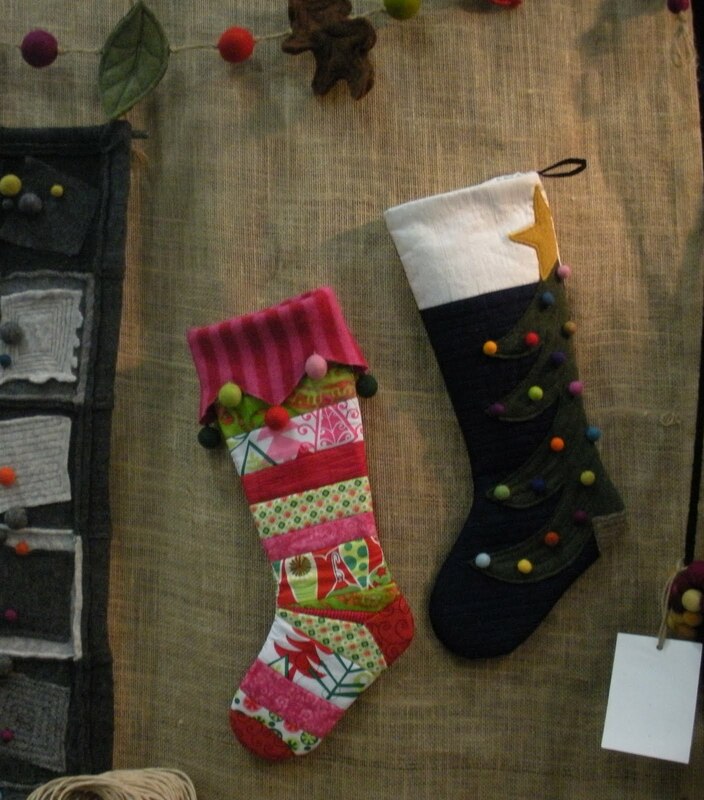 were these fun stockings in the Christmas fabrics I have in my stash! How cute! I haven’t checked out their website yet, but I’m betting it’s awesome, too! 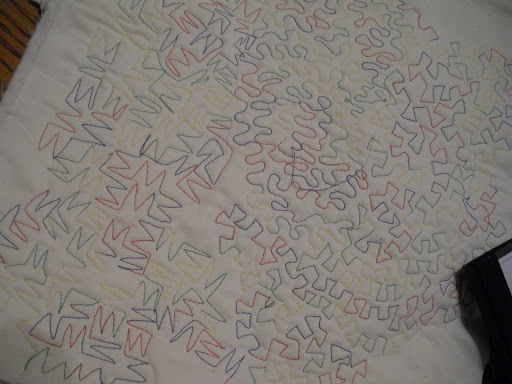 Well, okay, nothing beats that feeling except maybe rounding the corner and seeing your quilt hanging amongst other lovely quilts in a large space with a RIBBON DANGLING FROM IT! Sticks and twigs & shooting stars…. 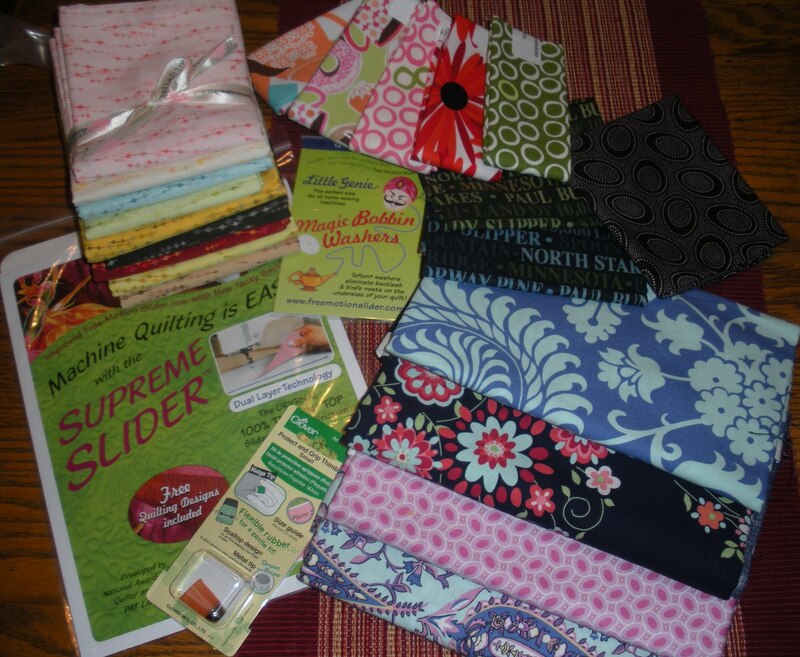 a Supreme Slider and Magic Genie Washers, recommended by Leah, some fun Michael Miller and Monoluna FQs, a piece of Kaffe Fassett Aboriginal Dots in a color I didn’t have!, a new Clover thimble… two Minnesota fabric FQs for my sweetie who hails from St Paul, a stack of Art Gallery Blenders (yum! ), and of course, some LOVE… Stay tuned for additional AQS Des Moines posts…good things are happening in our Capital city! What a great show! 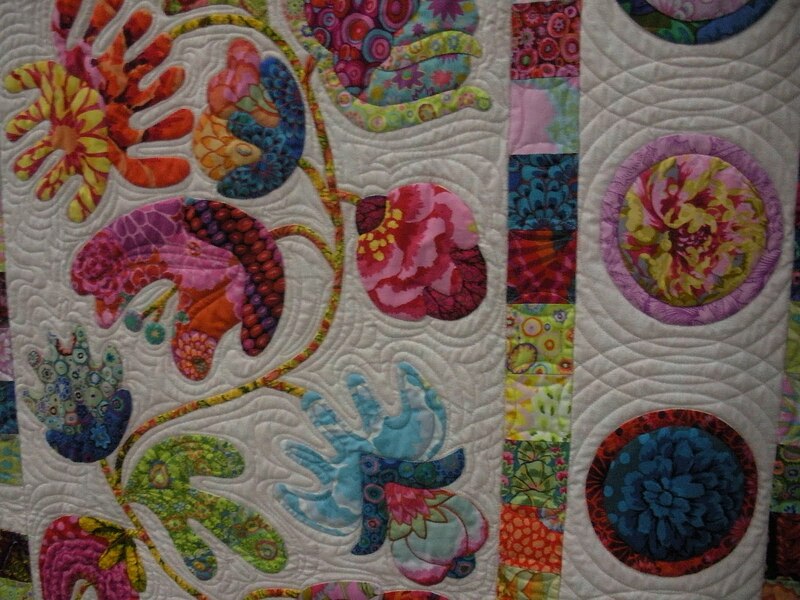 I love the little stitching details on the Amy Butler quilt! Thanks for the pics – I can't make it there, so it's great to see what's going on…. Thanks for sharing. These are very inspiring and jaw dropping. Can't wait to see the full views!! 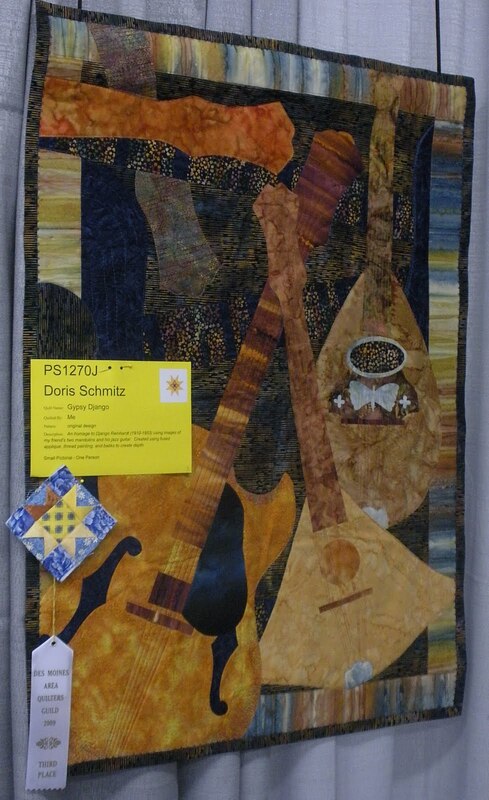 Thanks for sharing these inspiring and beautiful quilts, Doris. 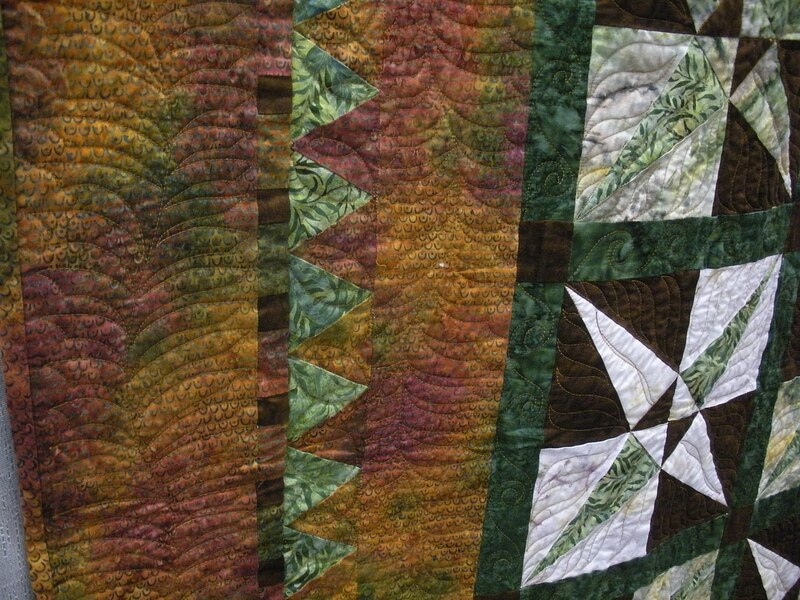 Your canoes quilt is lovely, and so is the wall hanging – that win was well-deserved. 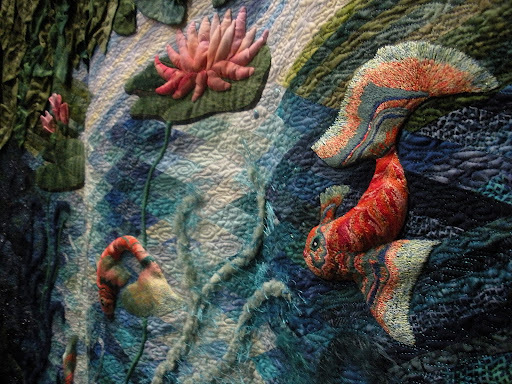 I hope to visit the Ballarat quilters exhibition at the weekend if I am well enough (I'm slowly recovering from pneumonia).Keep smiling. First of all, congratulations on your ribbon! How awesome is that. 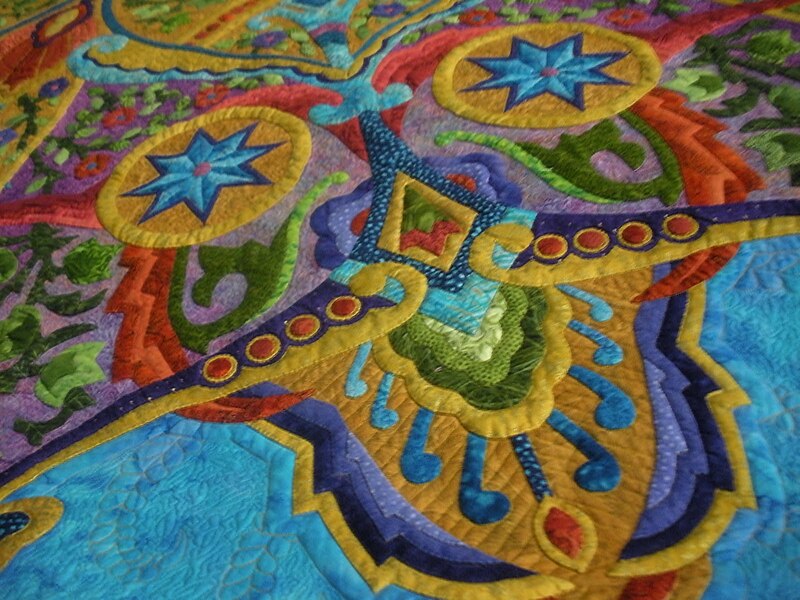 So many of those quilts you featured at the top look like photographs – they're so 3-dimensional looking. Just amazing. 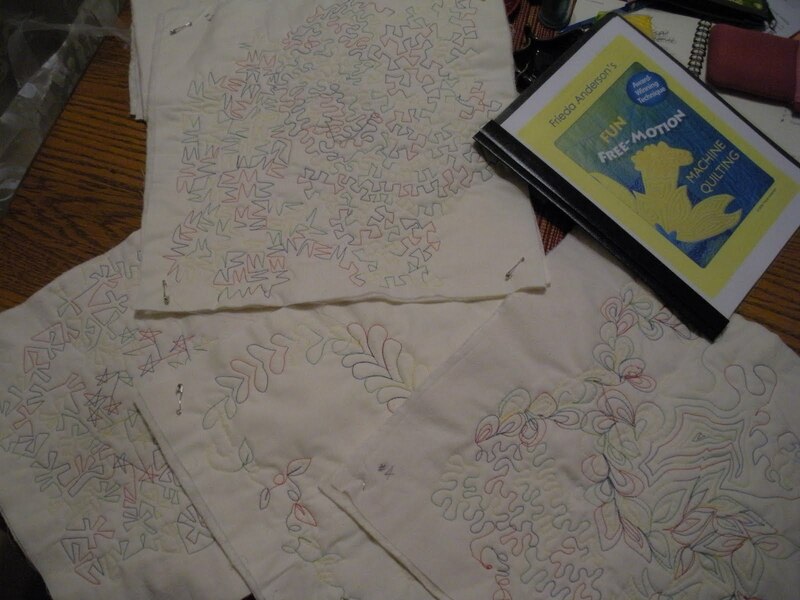 I would love to take such a free-motion quilting class. I love the work you did! What a day! OMG!!!! What a show! Congratulations on the ribbon. 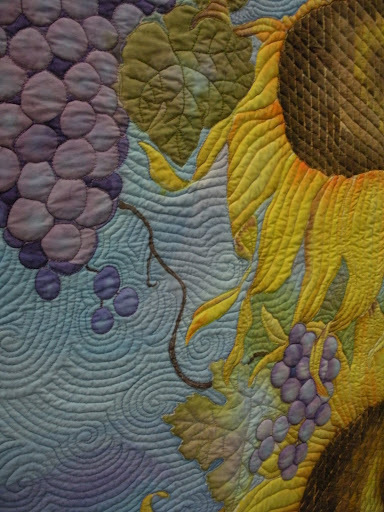 That is awesome, but it is a gorgeous quilt too. 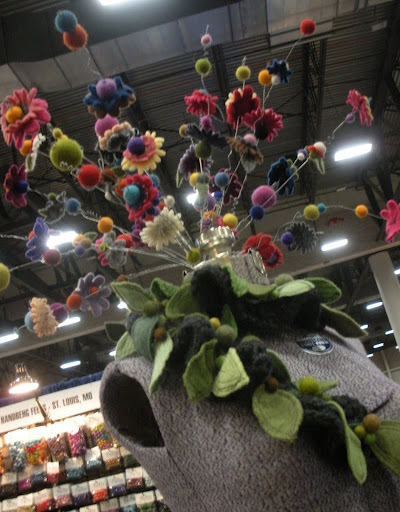 amazing.Congratulations on wining a ribbon! Well done. 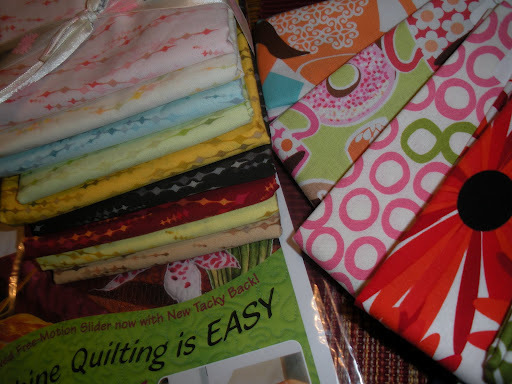 You sound as though you thoroughly enjoyed the free motion class, your samples look great. Congrats Doris! you deserve it!!! you have lovely work! looks like you had a lot of fun! I was at the show today and it was amazing! I only made it for the day – I needed three. I saw your growth chart. Congratulations on your ribbon! first…congrats! thanks for sharing all of these…amazing work! i'm going to be coming to des moines over thanksgiving weekend to meet up with my son on tour. any shops i should hit for sure?